Both Swoon and Swear are fantastic. I love Perfect Chemistry! 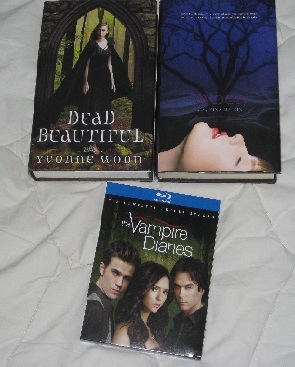 I recently got S2 of Vampire Diaries - SQUEE! Have you watched the deleted scenes? They're so good. And the bloopers, although I wish they were longer. And i'm surprised they left in the blooper of Nina jumping into the wall. Poor Nina! Great haul! Crave looks fantastic! Thanks for stopping by Pawing Through Books. Those books look so great! Great IMM this week! 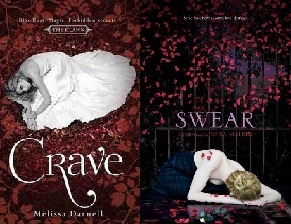 Crave and Swear both have stunning covers. You got some great books this week.